While Andrew may not be writing as much as we had hoped yet, he is contributing to a lot of the behind the scenes aspects of running the blog. He’s been taking all the food pictures (soon to be all the pictures) and helps with our editorial calendar. 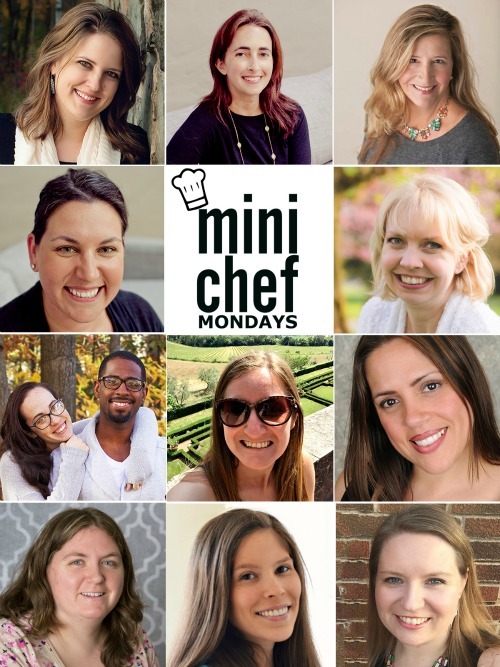 When we sat down to discuss what we would write about for our December Mini Chef Mondays’ posts, he immediately said something with Red Velvet Cake. My first thought was EWW, gross. No one here is eating that. He looked at me with utter confusion. He had no idea that I had never tasted red velvet cake before. Once he heard that he said that we must change it immediately. He had a recipe that he had used before to make one a long time ago and I glanced over it. I immediately cringed and told him we had to figure something else out. Again, he looked at me with utter confusion. ((this is pretty much the story of our relationship…me saying things, him looking confused…we’re working on it)). Anywho, I showed him that the recipe called for two ENTIRE tablespoons of red dye. Dyes are one of the things that we really ty to avoid in our house. Don’t get me wrong, Skibbles has had things with dye in them, but we try to avoid if we can, especially if it’s something that I’m making from scratch at home. So I research my options and had heard about people doing red velvet cakes with beets before. Don’t cringe, but I had never had a beet before either. So here Skibbles and I were standing in the kitchen, getting ready to make this cake for the first time together. We were planning to make a cake roll. Fast forward and I failed miserably the first time. The cake didn’t come out red once baked and when I tried to peel it off the baking sheet it cracked in like four places. Crap. So I turned to the internet. Why did it turn brown? Well, this is one reason I love Mini Chef Mondays. I get to teach Skibs things and today’s recipe turned into a science experiment. 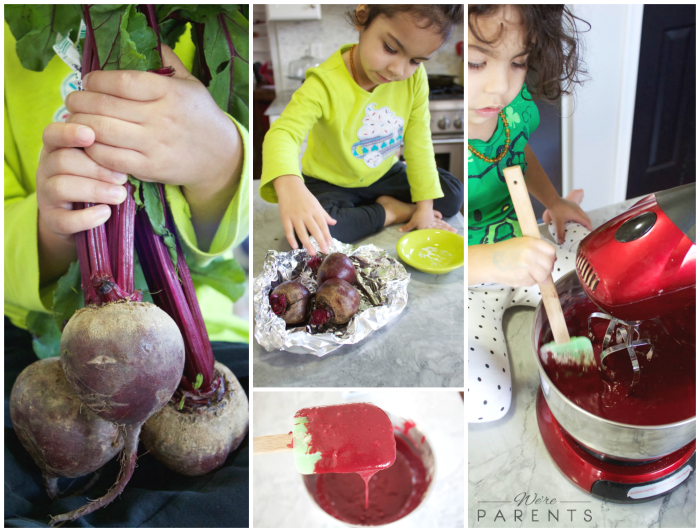 While she’s only 3, and really has no idea what I’m talking about, it was fun to teach her that things, like beets, have a pH level that needs a lot of acid in order to stay red and not brown. So I figured out a new recipe and VOILA, you have a red velvet cake recipe with no dye. But wait….this was still supposed to be a cake roll. Obviously it didn’t work out and it was great to start to teach Skibbles about how some times things don’t work out how we plan and we have to adapt what we are doing. 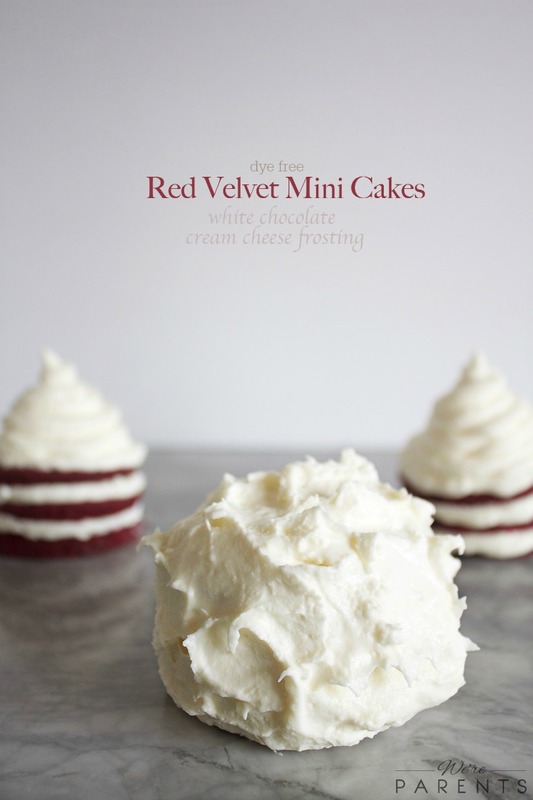 Low and behold, we give you Dye Free Mini Red Velvet Cakes. Preheat oven to 375 degrees F. Grease 15x10 sheet pan very well with butter. In one bowl, combine flour, baking powder, salt, cacao, and cream of tartar. Set aside. In a large bowl, beat eggs, sugar, vanilla, milk, yogurt, vinegar, oil, and lemon juice together. 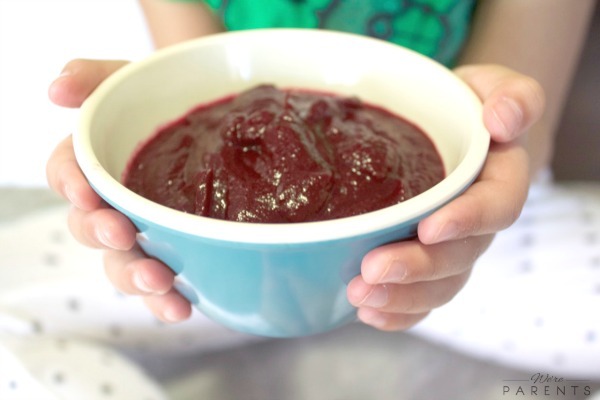 Fold in the beet and strawberry purees. Evenly spread onto greased sheet pan. Bake for 10-12 minutes. 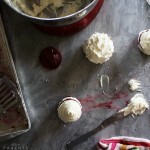 Using a 2 inch biscuit cutter, cut out circles of cake. Combine all ingredients except homemade whipped topping until very well combined. Fold in whipped topping. Spread a small on top of a cake circle and place another cake circle on top. Repeat until you have the desired amount of layers. Then frosting the top and edges if desired. 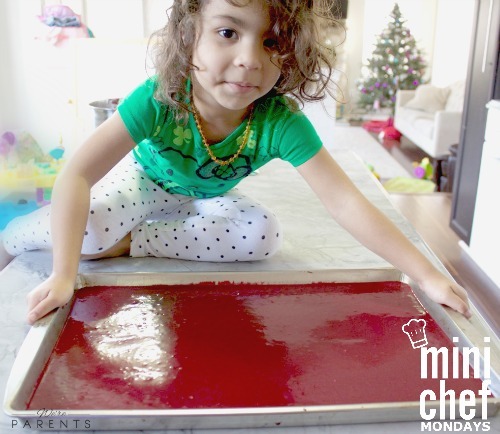 Wash off beets, remove stems and placed them on a sheet of foil with edges folded up. Lightly sprinkle with salt. Roast in oven for 30-45 minutes or until a fork easily pierces through the beet. 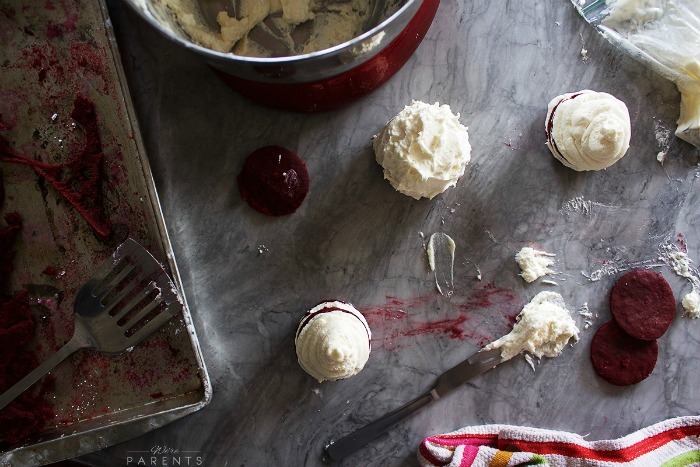 Remove beets and let cool long enough until you can handle them. Peel the skin off.